The 9/11 Memorial is an unfortunate success. Vast dual cubic wounds swallow torrents of water, forming inverse fountains guarded by the names of the lost. 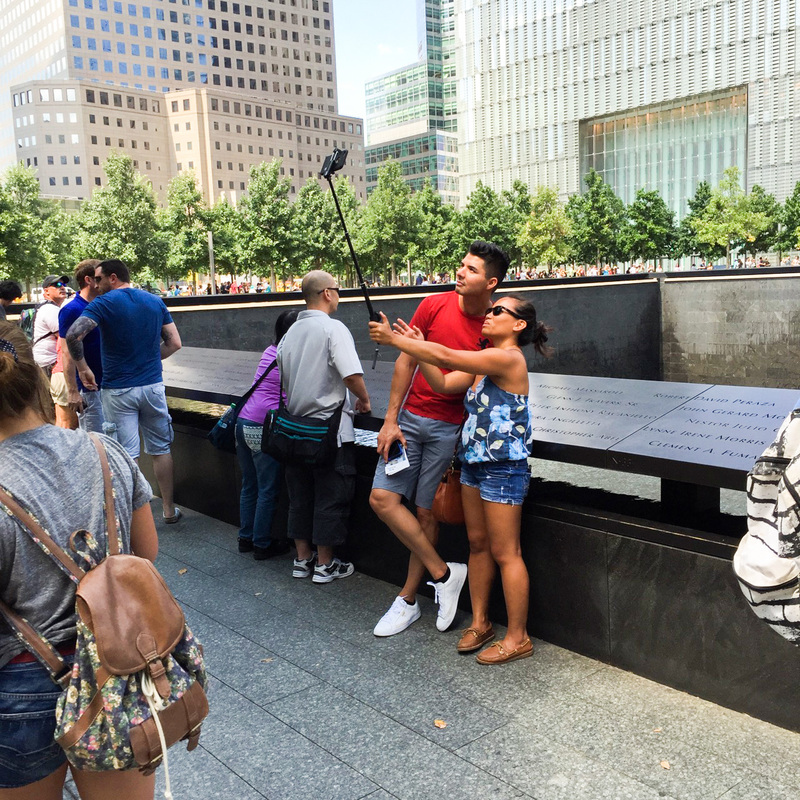 The names, a gesture towards humanization, spark an abstracted empathy quickly obstructed by smiling tourists posing for selfies: social capital trumping intent and decorum. The site functions as grand destination park, nominally about remembrance and devoid of mourning, except within the distastefully toppling museum providing commoditized relief. The scale echoes the symbolic, versus statistic, value of the tragedy, flexing green-space to life against a voracious market, signaling vast power in the economics of loss. Ruins are self evident historical palimpsests fundamentally different than designed memorials. Here the opportunity to mark and preserve the sacred site of an epic calamity and the memory of those who lost their lives is given to a flattened corporate park surrounded by a haphazard display of new skyscrapers. 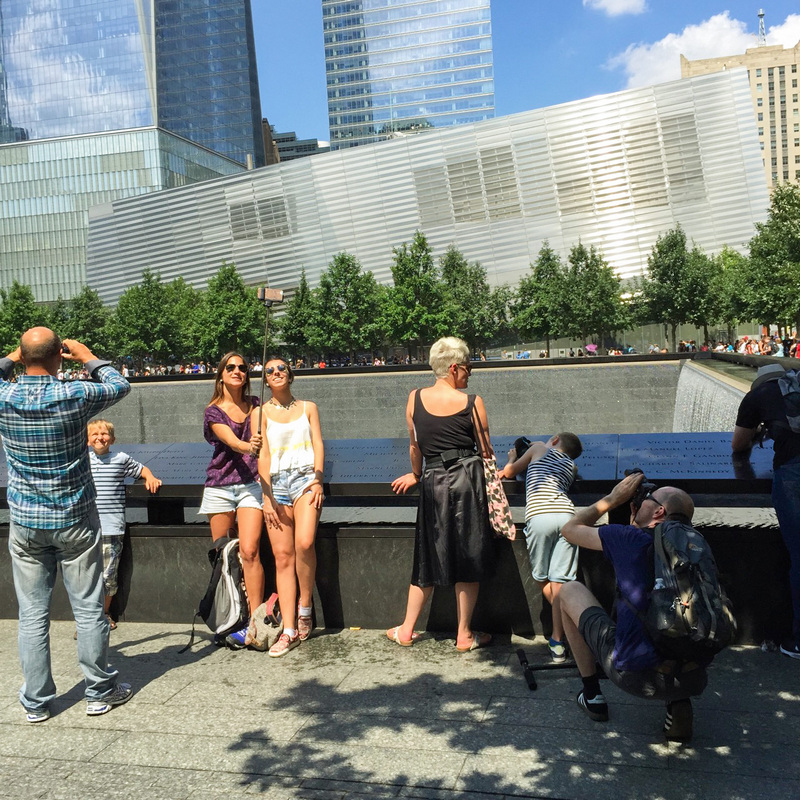 The awe at the sight of the reflecting pools at the footprint of towers owed to their massive scale is a short lived spectacle; having seen one, the casual visitor might peek, but is unlikely to pause for a redundant scene which nullifies the whole idea of reflecting let alone memorialization.